Suffolk Landscapes & Groundworks - Driveways/Patios/Paths, Landscaper based in Great Waldingfield, Suffolk. 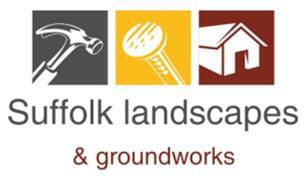 Thank you for looking at Suffolk Landscapes & Groundworks . We have over 20 years’ experience in the services we provide and our aim is to provide a personal, professional and exceptional experience to all of our customers. Sudbury, Bury St Edmunds, Ipswich, Colchester, Newmarket, Felixstowe, Braintree.